⚠️ ATTN rideshare drivers. We created a new way for Uber and Lyft drivers to make more money. Click here to learn how to make hundreds of extra dollars per month, easily. There seems to be this notion out in the world that Uber and Lyft drivers still make a lot of money. While that may have been true a few years ago, these days one of the most common complaints I hear from drivers is that they’re not making enough money. New drivers are especially at risk because there is a steep learning curve in this industry. It’s not rocket science being a rideshare driver, but it is a little more challenging than it might seem. And unlike other jobs where everybody makes the same amount from day 1, a more savvy driver will be able to make more than a brand new driver since there are all sorts of tips and tricks that will impact your bottom line. As you drive more, you’ll gain valuable experience and likely increase your income. But in the meantime, there are a few key things you can do to start increasing your income today. Freebird is an app that gives Uber and Lyft riders rewards. Promote Freebird to your Uber and Lyft riders and get up to $10 per person that signs up. Every passenger you give a ride to is an opportunity to make an extra $10. Freebird is an easy way to make more money while driving for Uber and Lyft. Learn more and get your Freebird promo code here. Partner up with a local business that you like. Ask them if they are willing to give you a commission if you refer customers to them. Then print a little card with the businesses information and your name or custom discount/promo code. 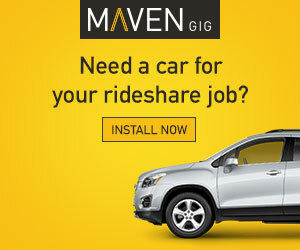 Or you can place an ad for the business in your car and get a monthly payment from them. You can make more money driving for Uber by selling things. Whether it’s something they need, like a phone charger, or something they want, like jewelry, when you have someone in your car it’s always an opportunity to strike up a conversation to see if they might be interested. Also, here’s a little secret, you can buy a lot of cheap things in bulk on AliExpress. Cargo is a startup that sends you a car vending machine with snacks FOR FREE. You just pay them when you sell the snacks. 2. Sell seasonal gear like rain ponchos, umbrellas, hats, gloves, etc. If you’re somewhere warm, you can sell sunglasses and other beachy items. Everyone hates to have a hungover. So when you’re picking up someone from a bar late at night, ask them if they’d like to buy a hangover cure and a bottle of water. Just tell them to drink it before going to sleep, and they’ll feel great in the morning. It’s an easy sell. Maximizing your income isn’t just about making more money, but also saving more money. Use tips like these to get more cash back at the end of the year. To begin maximizing your deductions during tax season, start by reading our ultimate tax guide for rideshare drivers. 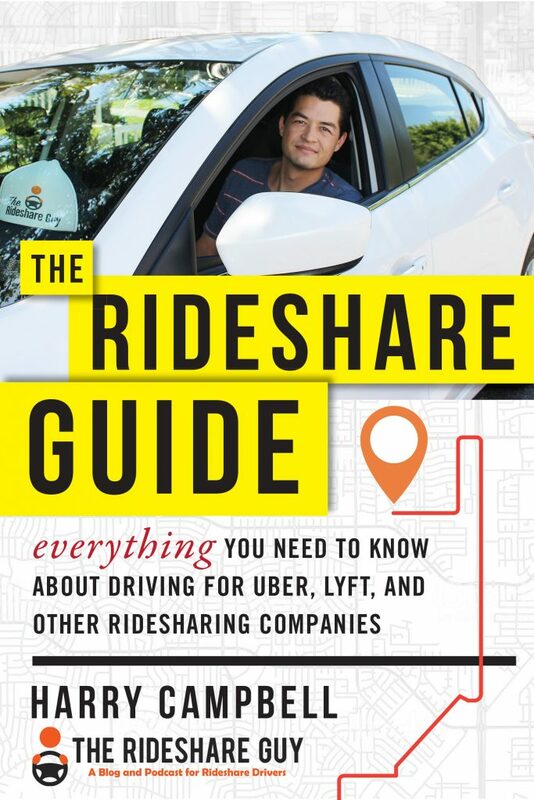 In this guide we cover everything that rideshare drivers should know when it comes to taxes, including the best software and tools to use to keep track of everything. To get the most out of your tax deductions, you’ll need a mileage tracking app. In our mileage tracking app review, we cover the best free mileage tracking apps that will accurately record you mileage while you drive for Uber and Lyft, so you can just pull up the data and plug in some numbers during tax time. Easy! In my opinion, it’s all about when and where you drive. Now obviously you can’t do a whole lot about the city you live in, but on average, you will make more the bigger your city is. Uber and Lyft are in hundreds of cities across the country, but a majority of their trips happen in just a few limited markets. That’s why you see the biggest sign-up bonuses, guarantees and incentives in cities like Los Angeles, San Francisco, Boston, Chicago and New York. If you don’t live in one of those cities, all is not lost, but just understand that the average income in a mid-sized market will be lower. I’ve always focused on Friday/Saturday nights and holidays like July 4th and New Year’s since that’s when demand is at its highest and you see the most surge pricing. This strategy isn’t foolproof, but it’s a good place to start if you’re looking to maximize your income. It’s not hard to figure out when the busiest times to drive are since Uber/Lyft send out weekly summaries and heat maps, but you have to realize that it’s not just about when lots of passengers are requesting rides. As a driver looking to maximize your income, you also have to consider times/places when there aren’t a lot of drivers out. A simple example will show you that if there are 100 requests coming in and 200 drivers to meet those requests, you only have a 50% chance of getting a ride. But what if you find an area where there are only 25 requests coming in AND just 15 drivers to meet that demand? You’re now guaranteed a request and you may even get some surge pricing. Now that there are more drivers than ever, it’s important to focus on times when there aren’t a lot of other drivers out. There are always a lot of requests on Friday and Saturday nights, but there’s also a lot of drivers out, so you may not get a ton of requests during these times. But there are lots of times and places where only a few passengers are requesting rides and there aren’t any drivers around. Walk of shame rides. A lot of drivers stay up late on Friday and Saturday nights chasing the surge, which is a fine strategy, but it also means that many of them are too tired to drive in the mornings. Passenger demand isn’t high at 8 am on Saturday/Sunday, but there are lots of people who had a little too much fun the night prior and now need rides home. Again, this is a time where there’s no traffic, no pick-up confusion and not a lot of Uber drivers out, so you can come in and make a killing. Holidays are usually the best days to make the most money while driving for Uber and Lyft. We even wrote several holiday guides for Uber and Lyft drivers. You can read more about driving on holidays here. The key thing to keep in mind is that these suggestions are a starting point. I can’t tell you what to do since everyone’s situation and location is unique, but if you apply this type of thinking, you’ll start to notice patterns and put yourself in the position to make more money more frequently. My advice would be to keep experimenting and trying new things and see if you notice an increase in your earnings. There are lots of pockets and times/places you may find that meet the criteria above and will help you make more money! Most people know about all the lucrative sign-up bonuses you can get as a new driver, but once you check that off the list, it’s important to stay on top of the weekly driving incentives. Not every city has these, but when you do see offers for earnings boosts, or “do X trips and get $Y” type offers, you should take advantage of them. I think Uber has lowered rates to the point where it’s unsustainable long term, and in many markets they have to add extra incentives just to get drivers to come out and drive every week. It’s important to read the fine print on these programs, but once you get the hang of it, you’ll probably find they start to make up a sizable portion of your weekly income. 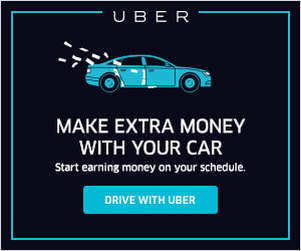 As a driver, I would rather see higher rates across the board and none of this incentive crap, but if that’s what’s presented to me, I’m going to try and take advantage of it. Over time, you’ll learn there is a strategy that can be applied to each incentive program. For example, Uber has been sending me lots of ‘do 20 trips, make $60’ this week type offers. That may not sound like a lot, but if you can bang out 20 quick trips, you’re getting a ‘$3 tip’ on each and every single ride, which adds up. In this type of scenario, I might go down to the college area where lots of students need short rides to the bar and try to rack up 2-3 rides per hour. I usually tell new drivers they should pick either Uber or Lyft to start with, and after a few months add the other. The biggest benefit you’ll see is that during slow times, you can turn both apps on and increase your chances of getting a request. Personally, I prefer driving for Lyft since they tend to have higher rates and allow in-app tipping, but there are plenty of times where you’ll make more money by driving for Uber and that’s why I keep both around. Most drivers do the same, with 67% of drivers from my 2017 survey indicating they drive for 2 services or more. Click here to sign up for other services. One common strategy is to drive for a delivery service like DoorDash during the middle of the day or when not that many people are going out for the night. DoorDash tends to be busy when rideshare is slow. Think about it, people who are staying inside are more likely to order takeout right? Also, unlike rideshare, most of the orders on DoorDash will pay a tip. Click here to see your other delivery options. Ultimately, there’s a lot of variability when it comes to pay for rideshare drivers – most are earning in the $10-$20/hour range but there are some who are earning more and some who are earning less. A majority of your pay is a function of the city you live in, but beyond that, there are specific strategies you can use to increase your income. These are our top methods for generating more income as an Uber or Lyft driver. If you haven’t yet, click here to sign up to drive for Uber and Lyft. 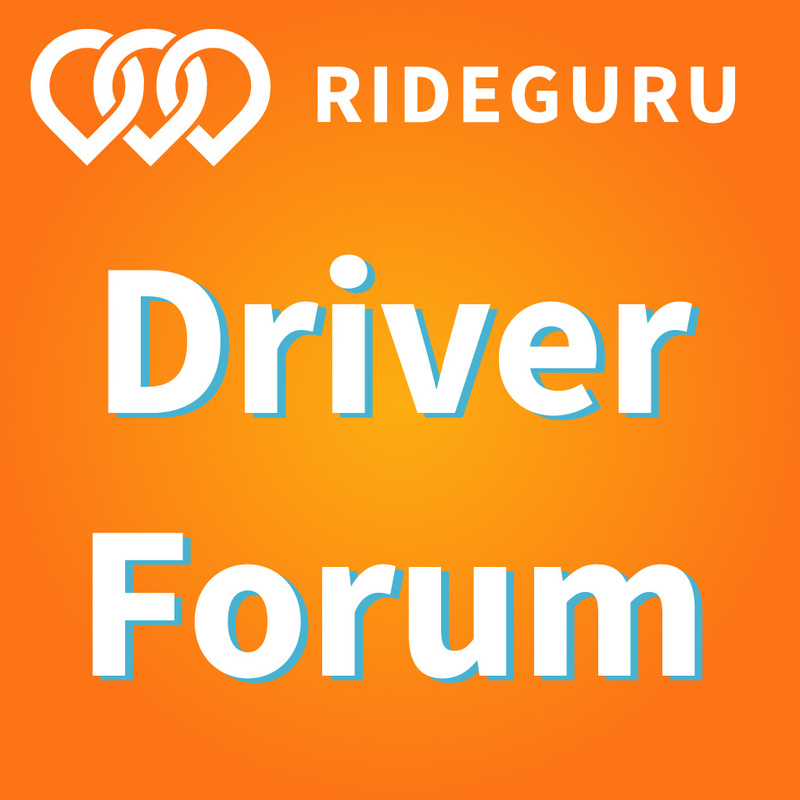 Drivers, what do you think about the earnings potential of a new driver? Have you employed any of these strategies in order to make more money or would you rather just flip the app on and see where the night takes you?